A stunning monobloc breakfast bar stool in Charcoal Grey with a beautiful shape and contours. The Faro is weather & UV resistant, commercial grade, and tested to weights of over 200kg. 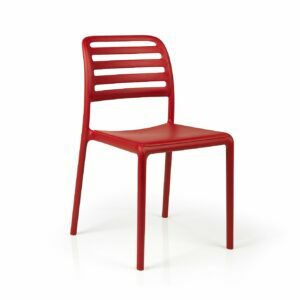 A Beautiful European Monobloc Bar Stool that can be used both Indoors & Outdoors. Stackable, UV & Weather Resistant, 3rd Party Tested to weights of over 200kg and suitable for commercial applications too. 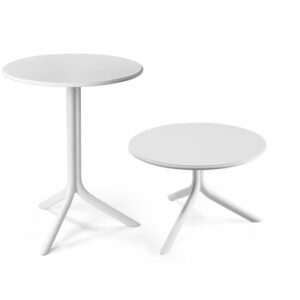 A stylish & compact option, the Spritz Patio Table / Coffee table comes with two stems in regular table height, and coffee table height that are interchangeable. 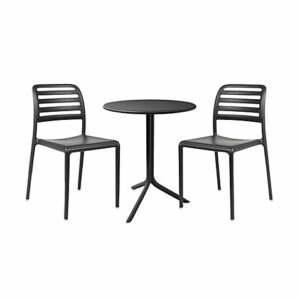 Designed and made in Italy with UV & weather resistant polypropylene & fiberglass resin that’s easy to clean and super low maintenance, this attractive table is suited to areas where space is at a premium.